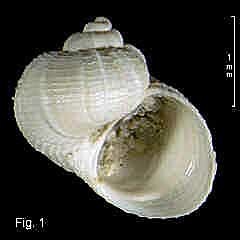 Description: Shell minute, thin and fragile, with rounded whorls. Protoconch initially smooth, then with netted pattern. Teleoconch up to 2½ whorls, at first continuing netted pattern of protoconch, then with strong, thin, irregularly spaced axial ribs crossed by fine spiral threads, about 7 on second-last whorl and 20 on last whorl. Aperture expanded sideways and anteriorly, peristome incomplete; outer lip thin, inner lip a little reflected over umbilicus. Umbilicus partly or almost completely closed. Colour opaque white. Size: Up to 2.2 mm in height. Distribution: Known from 5 specimens from off Sydney, southwards to off Nowra, NSW. Synonymy: Warén (1991) noted that this may be conspecific with Pendroma peplexa Dall, 1927, from off Rio de la Plata, Argentina. 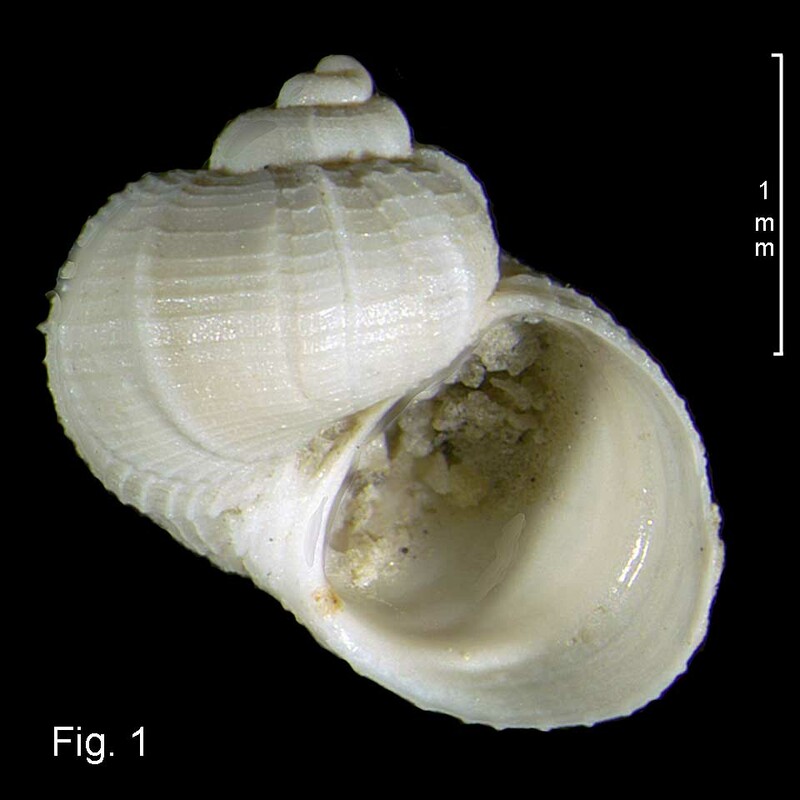 Remarks: SEM images of the protoconch and shell were given by Warén (1991).